If you really want to understand places in the United States, wouldn’t the location data collected by smartphone apps be useful? Apps form the backbone of this new location data economy. The app developers can make money by directly selling their data, or by sharing it for location-based ads, which command a premium. Location data companies pay half a cent to 2 cents per user per month, according to offer letters to app makers reviewed by The Times. Sure, this could all be monetized for advertising purposes. But, it’s longer-lasting influence could come in helping us better understand location patterns across people. There are many different ways to understand places, the sets of human activity and meaning associated with particular spatial arrangements. The location data from apps could reveal all sorts of interesting things: commuter patterns and responses to traffic/delays, how far people travel from home or work for certain activities, where leisure time is spent, and how locations differ across various demographics (race/ethnicity, social class, gender, age, etc.). What are the odds that this data will be made available to researchers? Very slim. But, I hope someone is able to get access to it and find some intriguing patterns in urban and suburban life. Only 54% of teenagers are worried about this??? This is great that at least half of teenagers are worried about this!!! Smartphone use is just so ubiquitous. 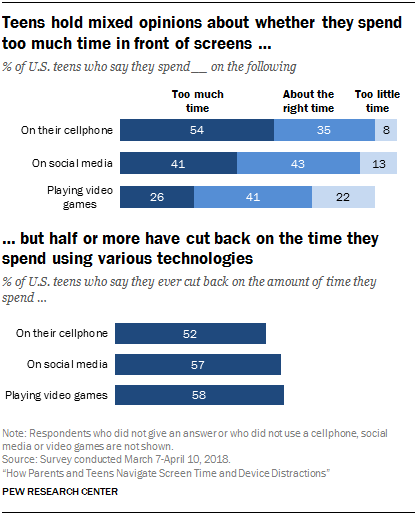 Cutting back or not using the smartphone is tantamount to not being part of the 21st century. Peer pressure. If they do not participate as much, their social world passes them by. This seems to be consistent with some of the work my colleagues and I have done regarding social network site use. Users may be able to articulate problems they face using social media and smartphones but very few of them opt out of the realm altogether because there are clear benefits to continuing. How exactly teenagers and other smartphone and social media users will learn to employ what they would consider appropriate boundaries in using these devices and platforms is an open question. “They’re oblivious to cars,” Stamford City representative, John Zelinsky said. Zelinsky said the Pedestrian Safety Ordinance is modeled after one approved in Honolulu late last month, and would carry a $30 fine if police catch you in the act. Such behavior can be dangerous for both users and others on the sidewalks and streets. Yet, legislating distractedness out of walking, bicycling, and driving is a tricky business. Does walking and talking with someone count as distracted walking? Is it okay to suddenly stop right in the middle of a busy sidewalk to take a phone call? I have long wondered about implementing traffic regulations on busy sidewalks (see a story from England about this). Sidewalks are public spaces but also important conduits for foot traffic and some kinds of vehicles. Overcrowding can occur; see the recent example of Manhattan. And how people use the sidewalks can vary dramatically with use ranging from running and powerwalking to strolling to standing or sitting for conversation. But city officials say their work is justified: The idea to install such traffic lights came after a 15-year-old girl was killed by a tram. According to police reports, she was distracted by her smartphone as she crossed the tracks. The direction of change is with the smartphone users: their safety matters and urban planners and officials must adjust. I assume the future self-driving cars will be able to communicate with smartphones (or whatever devices we are all sporting at that point) to protect cars from the pedestrians. At that point, the cars will be far safer than the zombie or distracted or unpredictable activity of any pedestrian.